Your GP practice has identified you are at risk of getting Type 2 diabetes and we would like to offer you a free place on a programme to reduce the risk. Are you aware that you are at risk of getting Type 2 diabetes and you can prevent this from happening by making some lifestyle changes? This can include achieving a healthy weight, becoming more physically active and adopting a healthier diet. We would like to refer you to the new Tower Hamlets NHS Diabetes Prevention Programme called Healthier You. Across the country, thousands of people like you will be attending the programme to reduce their risks. The programme is being offered free of charge to people living in Tower Hamlets who are at high risk of developing type 2 diabetes and will consist of 18 group sessions across 9 months and during this time you will receive support around preventing type 2 diabetes. Further details about the NHS Diabetes Prevention Programme can be found below the interest submission form, including frequently asked questions. If you are interested in joining this programme and would like your GP to refer you, then please complete the form below. Your GP will asses your medical condition and make a final decision as to whether you will be referred to this programme. The prevalence of Type 2 diabetes is expected to rise dramatically over the next 30 years. Managing the condition and its complications will put unprecedented strain on the NHS. Diabetes currently costs the NHS £8.8 billion every year. 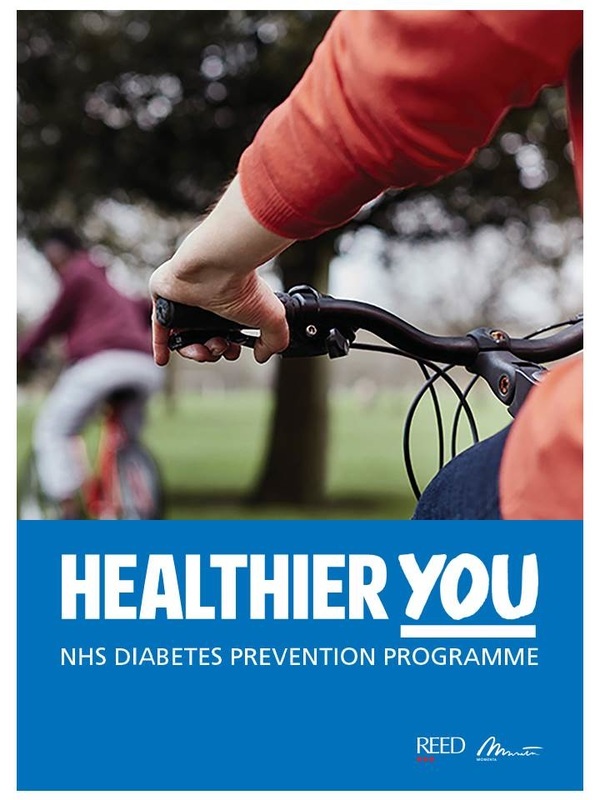 In recognition of this NHS England, in collaboration with Public Health England and Diabetes UK, have commissioned Healthier You: the NHS Diabetes Prevention Programme, the world’s first such national initiative. Healthier You: the NHS Diabetes Prevention Programme is a nine-month behaviour change programme that helps those at risk of developing Type 2 diabetes significantly reduce their chances of getting the disease. Reed Momenta is delivering the programme to people in North & East London who are at a risk of developing Type 2 diabetes. Blood tests and selected other measurements will be repeated at weeks 26 and 40. 18 group sessions over 40 weeks at convenient community venues. Participants receive extensive supporting resources, including colour handouts, trackers and a pedometer. Reed Momenta is a joint venture established by Reed in Partnership, a leading public services provider, and Discover Momenta, a leading developer of evidence-based behavioural lifestyle programmes. We provide clinically credible high impact lifestyle and wellbeing programmes that help people lead healthier lives. There are two types of diabetes – type 1 which is uncommon and often starts in childhood and requires insulin injections. Type 2, which is more common usually, starts in adulthood. Diabetes is caused by a build-up of glucose in the blood stream. Type 2 diabetes occurs when there is either not enough insulin or the insulin is not working properly, which allows glucose to build up in the blood. Type 2 diabetes, is a chronic condition and can lead to major health problems such as heart disease, blindness and even limb amputations if it is not looked after well. High risk, does that mean I have diabetes? No, it does not mean you have diabetes; however, your blood test indicates that you have a high chance of getting diabetes. The good thing is that by changing certain aspects of your lifestyle you can significantly reduce your risk of getting Type 2 diabetes. Why have I been contacted to go on the programme? You have been contacted as you have been identified as having a high chance of developing Type 2 diabetes and by attending Healthier You: the NHS Diabetes Prevention Programme you can reduce your risk. There will an Individual Assessment and then participation in the Healthier You group programme, which offers free support to help you reduce your risk of developing Type 2 diabetes. The staff at Reed Momenta will lead 18 friendly sessions over nine months to help you to reduce your risk of Type 2 diabetes. If you would like to attend with a family member or friend, they will be most welcome. Reed Momenta are the organisations who have been funded by NHS England, Public Health England, and Diabetes UK to deliver the Healthier You programme in Tower Hamlets. The staff are fully trained to deliver the advice to you and provide the support to help you make decisions on what changes you can make to reduce your risk of Type 2 diabetes. ​What is involved in the assessment? Once the referral has been received by Reed Momenta they will contact you to organise your individual assessment, delivered from a local pharmacy or a convenient community location. This will provide the opportunity for you to receive more information about Healthier You programme and the chance to ask questions. The assessment will include a blood test (if the current test is over 3 months old) and questions asking about your health and wellbeing. Will I need to travel far or will it be somewhere local to me? No, you will not need to travel far, the assessments will be at a local pharmacy, or conducted by staff of Reed Momenta in a local venue. We are aiming to run the Healthier You sessions in your local area so you will not need to travel far to attend.